If you're a strawberryist, best stay close to the Golden State throughout May 2018. 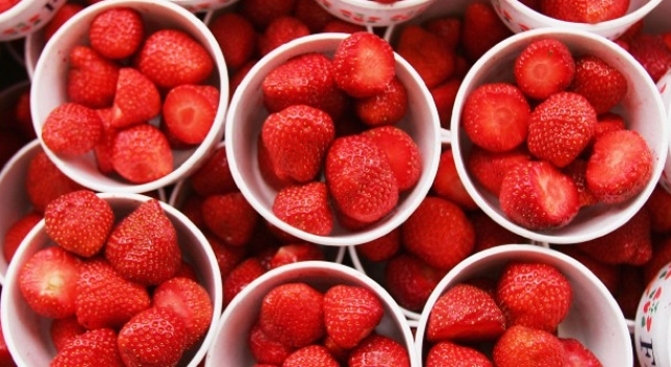 GARDEN GROVE STRAWBERRY FESTIVAL, which celebrates its big 60th anniversary from May 25 through 28, and the Arroyo Grande Strawberry Festival on May 26 and 27, and the 78th Happy Valley Strawberry Festival in Anderson, also on May 26 and 27. All of the festivals include interesting diversions beyond the important pastime of berry consumption, but some are a bit larger than others, with different events going on, so study up before taking to the road your strawberrymobile. Surely you have a car painted the color of a strawberry? The very car that you use to visit all of our state's big Maytime strawberry bashes? Get it shined up, for it'll be putting in the miles, and smiles, near the end of May 2018.